Wattlebirds are large honeyeaters with well-camouflaged plumage compared to many of the other honeyeaters. 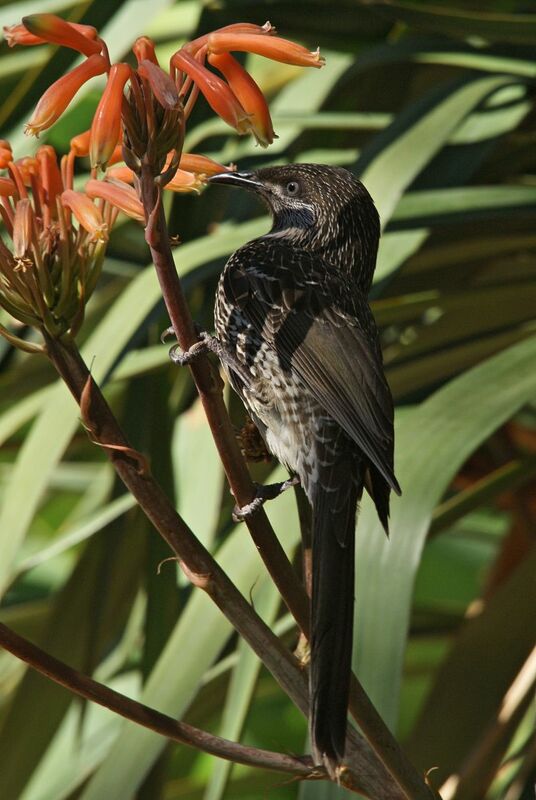 There are four species in Australia of which the Little is one of the more common along with the Red Wattlebird. They are superficially similar but can be told apart by the Little having coppery-brown wings, no red under the eye and much less distinct facial markings. 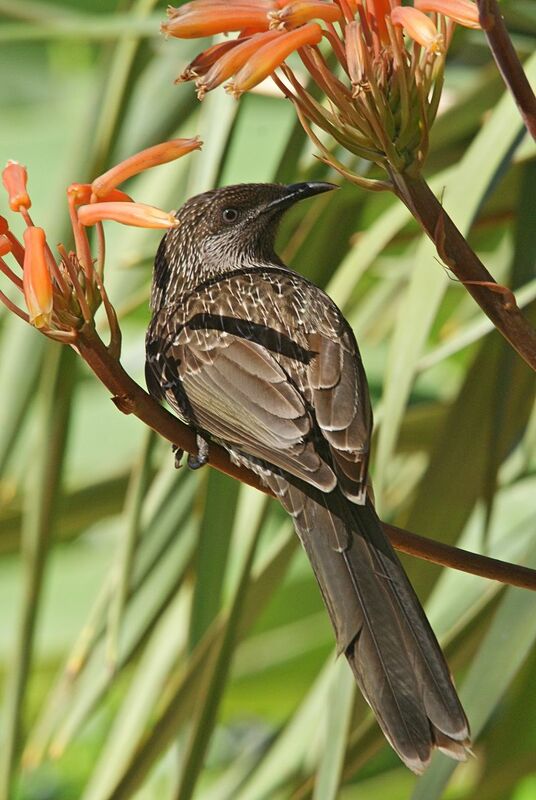 Little Wattlebirds are closely related to the Western Wattlebird, which was considered to be part of the same species until recently. As the name suggests, they are the smallest of the wattlebirds at 26-31 cm. They are found in coastal regions of the south-east of Australia from southern Queensland to central South Australia. 1-2: The University of Adelaide, SA, 01/09/2012.